Father’s Day is about giving, but it’s also about celebrating life’s special moments with dad. With this in mind, We conducted research on the significance of one of the first stops on the journey to manhood—grooming. Did you learn to shave, trim or clip from dear old dad? Then you are in good company. Overall, 50 percent of guys have learned to groom from their father or a father-like figure. And as it turns out, first grooming experiences between father and son are pretty special. Nearly 90 percent of guys consider the experience to be a meaningful one. Furthermore, the majority of men are planning to carry on the tradition with eight in 10 saying they would teach, have taught or are planning to teach their son how to groom. This Father’s Day celebrate those awesome moments with a dad & dude haircut combo for only R290 (save R50) plus stand a chance to win an epic Lion Park Adventure, with cheetah walks and game drives for the whole family. Book anytime between now and the 20th of June 2016. 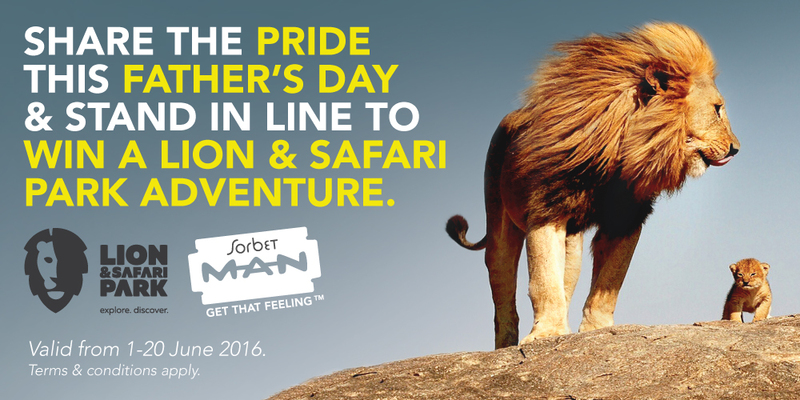 For the real deal grooming experience book on Father’s Day, the 19th June, and enjoy snacks, a cold beer and and awesome give-aways.